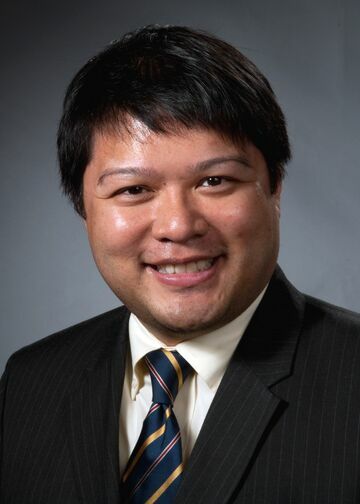 Dr. Jongco is board certified in internal medicine, allergy and immunology. He sees both pediatric and adult patients at the Division’s main site (865 Northern Boulevard) and satellite facility in Smithtown. His clinical interests include immunodeficiency, anaphylaxis, and mast cell disorders, with a special focus on allergic and immunologic disorders of the elderly. Throughout his career, Dr. Jongco has attempted to integrate his training in basic science, epidemiology, and public health with his clinical interest in allergy and immunology. He has two active clinical research foci. His immunology research focuses on developing assays to identify primary immunodeficiencies in newborn screening and on characterizing novel immunodeficiency disorders. His allergy research focuses on elucidating the epidemiology of anaphylaxis in the elderly and developing novel educational interventions to improve anaphylaxis diagnosis and management by medical providers. A major area of interest for Dr. Jongco’s current research is expanding newborn screening to include primary immunodeficiencies, which includes close collaboration with the NYS Department of Health newborn screening program to develop and optimize multiplex assays to detect infants with T and/or B cell lymphopenia shortly after birth using existing infrastructure. This work, which has been ongoing since 2010, has been funded by private and state grants, presented at national and international scientific conferences, and is poised to demonstrate that current state programs which screen for T cell deficiencies can be expanded to include humoral and B cell defects. Work in ongoing to demonstrate feasibility and assess cost-effectiveness of such interventions at a statewide level. He is also working on characterizing novel PIDDs identified on NBS. The scientific literature and popular media currently focus on pediatric anaphylaxis. The limited available evidence suggests that the elderly are an under-recognized and under-studied population at risk for adverse allergic reactions. Work is ongoing to elucidate the epidemiology of anaphylaxis in the elderly using a chart review of emergency room visits in our health system, as well as querying claims data from the New York State Department of Health SPARCS database. Dr. Jongco is also interested in improving anaphylaxis diagnosis and management (ADAM) among health care providers. He has built upon his initial work with residents in internal medicine, pediatrics, and emergency medicine, by developing collaborations between different departments and our health system’s corporate university, the Center for Learning and Innovation, which houses our simulation center, the Patient Safety Institute. Dr. Jongco’s current research focuses on designing and evaluating novel simulation-based educational programs to improve ADAM among health care providers.